Over the years, Zeeland residents donated their World War II ration books to our museum. We are proud to introduce a list of our collection. There are ration books listed below with additional information. Additional information includes facts about the individual who owned the book (the person's signature, address, age, etc.). 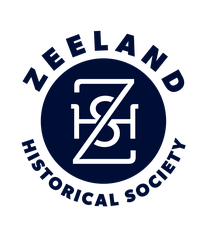 The Ration Books listed below are located in the Zeeland Museum's research room. Want to learn more? See More About WWII Rationing.